Showing 18 articles from November 30, 2014. 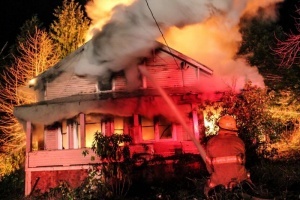 Photo by Kristoffer Strayhorn The Raymond and Pacific County fire departments responded to the early evening home fire. In the early evening, approximately 5:30 pm on Saturday, November 29, the Raymond Fire Department along with Pacific County Fire District #3 responded to a house fire on Mill Avenue. MENLO - Part of a graduating senior's "To Do" list includes working on a culminating project or what many hear as the "senior project". Many have helped with the community in several ways like with the environment, local signage or attempting to change future requirements of senior students in the state. Razor clam diggers can count on a week-long opening beginning Dec. 3 and start planning trips to Washington's beaches in early 2015, after state shellfish managers today announced a schedule of proposed digs through February. Must be located within 15 miles from any one of the five Dennis Company locations to be eligible. Photos need to be emailed to advertising@denniscompany.com and must include the name, physical address and phone number. One of four children in our area does not get enough food to eat at home. It is that time of year again and the WHMA Food Bank volunteers are donning their elf hats and will be present at the Everybody's Super Market on Fridays and Saturdays through December 13th! I would like to take this opportunity to thank the people who supported my campaign efforts and voted for me. 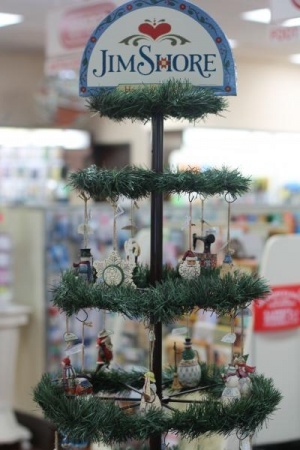 The holiday season is upon us, and the time to get your friends and family presents is now. There is a lot of holiday oriented activity slated to happen this upcoming weekend locally; so come support the community and see what the bustle is about. NASELLE - November 28th at about 3:20 pm, the Pacific County Communications Center received a cellular call from a hunter in distress on Long Island. BROOKLYN - Bradley E. Rahn, 55, Preston, was arrested in connection with a stolen vehicle. Rahn was transported to the Pacific County Jail and booked for one count of Theft of a Motor Vehicle. Rahn's bail was set at $ 20,000. 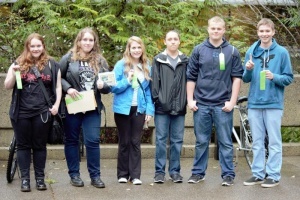 One of the South Bend Knowledge Bowl teams won fifth place of 43 in a competition Tuesday, November 25. 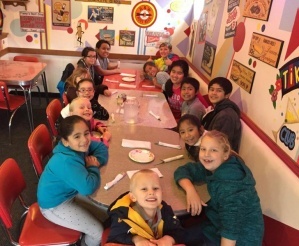 Raymond Elementary students enjoy a pizza party at Slater's Diner for their involvement in explaining "Empathy". 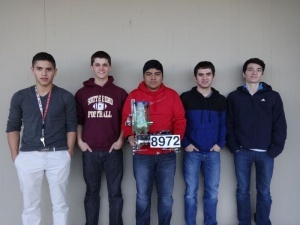 The South Bend Robotics team won third place of nine teams Saturday, November 22 at a competition at WF West High School. On Sunday morning November 23rd, the National Weather Service issued a rare Tornado Warning. In the delivery of Christmas parcels this year the Post Office is going to run a delivery wagon for at least two days, the 24th and the 25th, and we fully expect to make a clean delivery of every parcel after each mail.